April 18th: Chengdu Comedy Club! 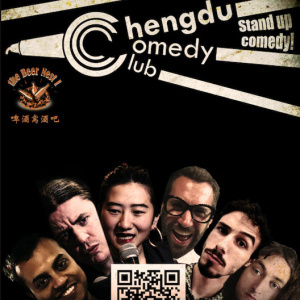 Chengdu comedy bring their unique variety of comedy styles to The Beer Nest 1 again. Check out the line-up..
Dan Russell (Headliner) - From Boston USA, Dan was a regular performer in New York before moving over to China, Dan started his China stand up career in Chongqing, hence the nickname ‘Mr Comedy Chongqing’, now Chengdu based, he performs regularly in Shanghai and in other Chinese cities, often the feature act for international tours in Southwest China. Come down as spring is in the air, the weather gets warmer, a few beers and laughs sounds good!